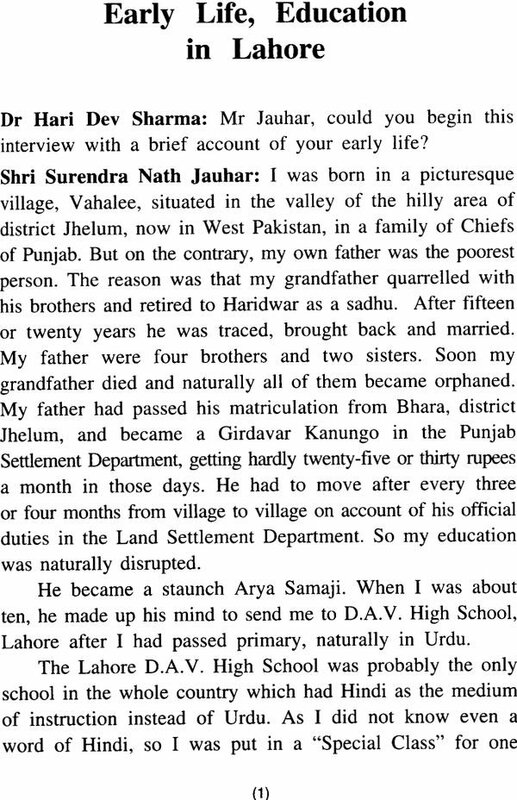 Surender Nath Jauhar : Born August 13, 1903 at village Vahalee, Distt. 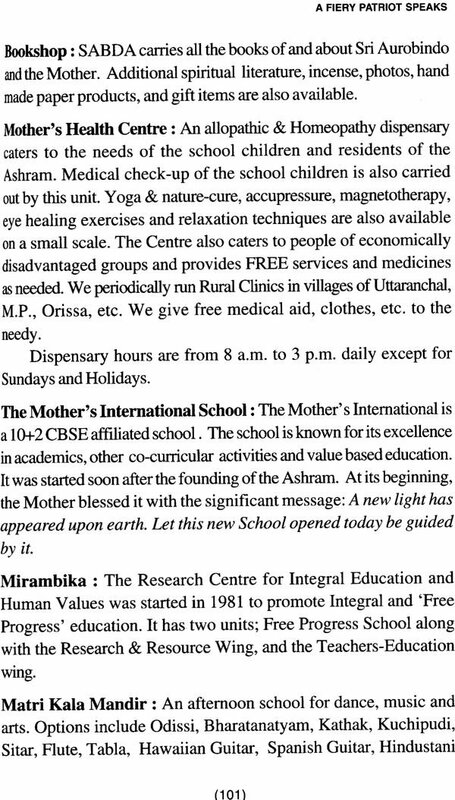 Jhelum (now in Pakistan), resident of sri aurobindo Asharm, New Delhi. Education at D.A.V. college and National college, Lahore ; member D.C.C. (1939); member P.C.C. (1934-47): took part in the civil Disobedience movement (1930) and the quiet India Movement (1942) ; defied martial Law Regulations (1919) and suffered beatings and forced marches under the British sergeants. 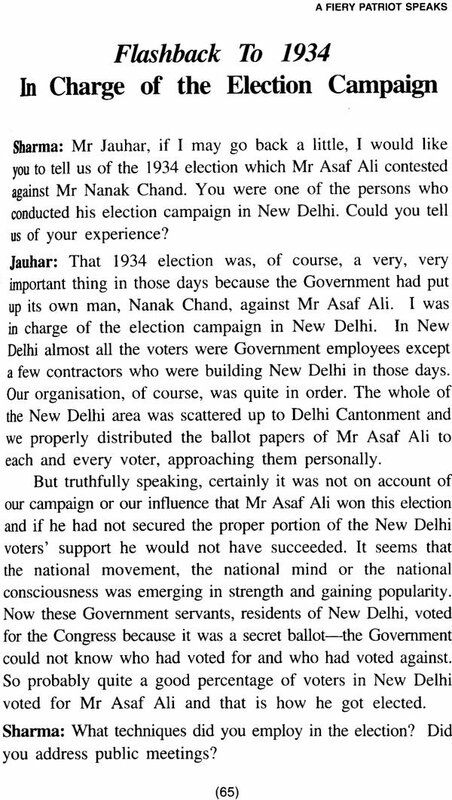 In 1930, organised boycott of foreign cloth throughout the “Katras” of Chandani chowk ; November 14, 1930 read the congress Independence Day Resolution at the clock tower ; arrested and tried for six different counts; sentenced to nine months’R. 1. And six months’ R. 1. In the Central jail Multan ; tortured in jail and released in 1931 on account of Gandhi –Irwin Pact; in 1942 ; went underground and worked with shrimati Aruna Asaf Ali and shri Jugal Kishore Khanna; arrested on September 17,, 1942 after fierce fighting at the point of pistol; dragged along with his wife in Connaught circus followed by thousands of people; in the scuffle, the Magistrate on duty ordered to shoot him dead, escaped providentially ; tried under various counts for about two years and acquitted on May 6, 1944. Someone very wisely said, “those who have a ‘why ‘ to lie for can bear any ‘how’.” Perhaps that is why surrendera Nath Jauhar could make light of his jail sentences and the tortures in jail – and enjoy jail life. This Interview is a gripping account of a life richly lived, in service – service of the Motherland , of society , of the Divine . And ‘service’ in the truest and highest sense of the word. 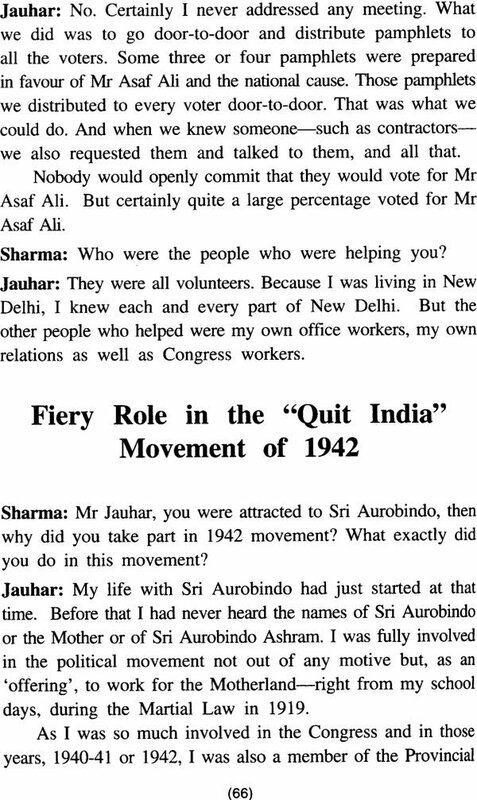 We are grateful to Dr. Hari Dev Sharma for this document of historical importance – he had recorded the interview on 29.4.1970 for the Nehru Memorial Museums and Library.